Cluster Crystals in Buddha design, encased in Glitter Liquid Glass. Here we are bringing a stunning Silver Glitter Buddha to Homes Direct 365. Bringing culture, art and style to your home with this mesmerising design, coming in a variety of sizes such as 75x75, 100x60, 120x80. 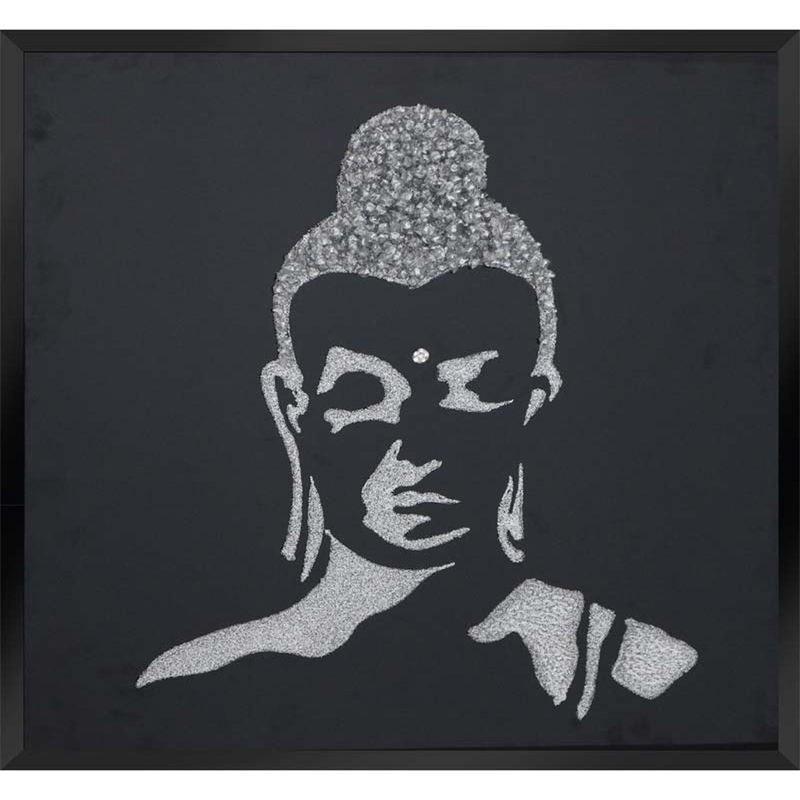 This piece was hand finished in the UK and has cluster crystals inside the Buddha design, encased in glitter liquid glass, making this piece quite the glamorous item in your home.